It is now February. When you are married to a great woman, that means it’s time to start thinking about Valentines Day. 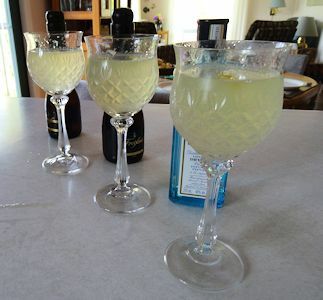 I will start with a late afternoon cocktail, a French 75. The champagne base highlights the celebration. 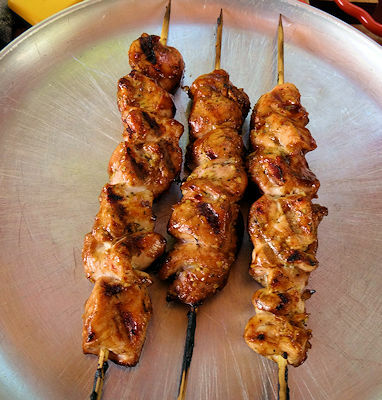 You need a nibble while you enjoy your cocktail and I will serve Hoisin Glazed Chicken Skewers. 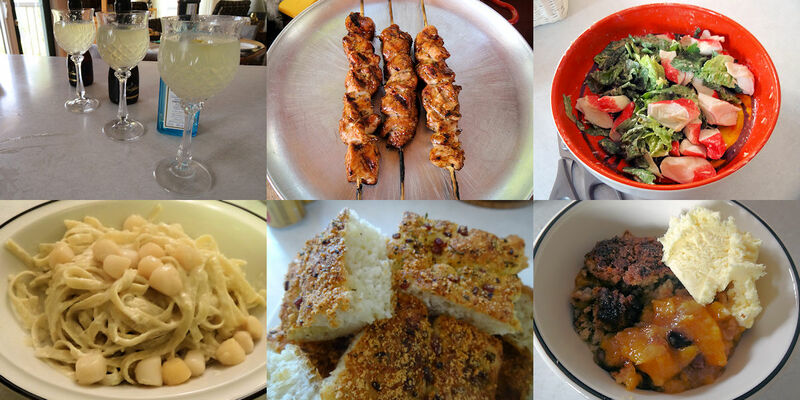 There is just something fun about eating off a skewer. 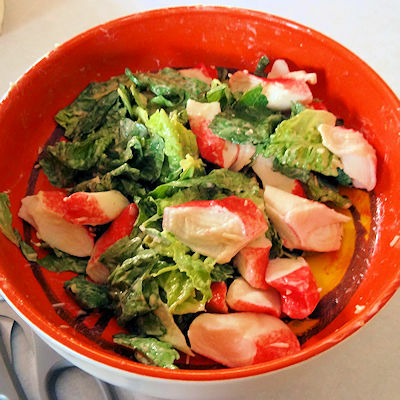 Our lead in to dinner will be a Seafood Caesar Salad. She Who Must Be Obeyed loves seafood and the creamy dressing is luscious. 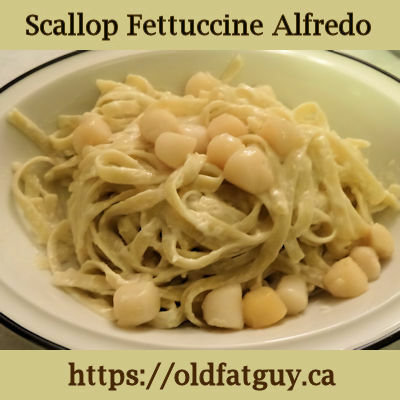 The main course will maintain the seafood theme with Scallop Fettuccine Alfredo. I don’t know why slurping rich creamy pasta is romantic but it seems that way to me! 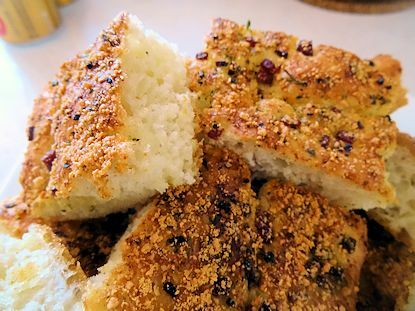 I will make some Easy Easy Italian Herb Foccaccia to have with the pasta. You need something to wipe the sauce from the plate! 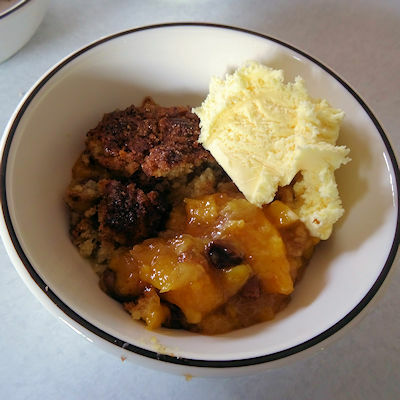 To finish, we will have Peach Cobbler. I love the sweet/tart peaches and a scoop of ice cream gives it a creaminess. This is the plan, we’ll see if She Who Must Be Obeyed approves. when I seen the meat on sticks … thought you was gonna make “city chicken “………..